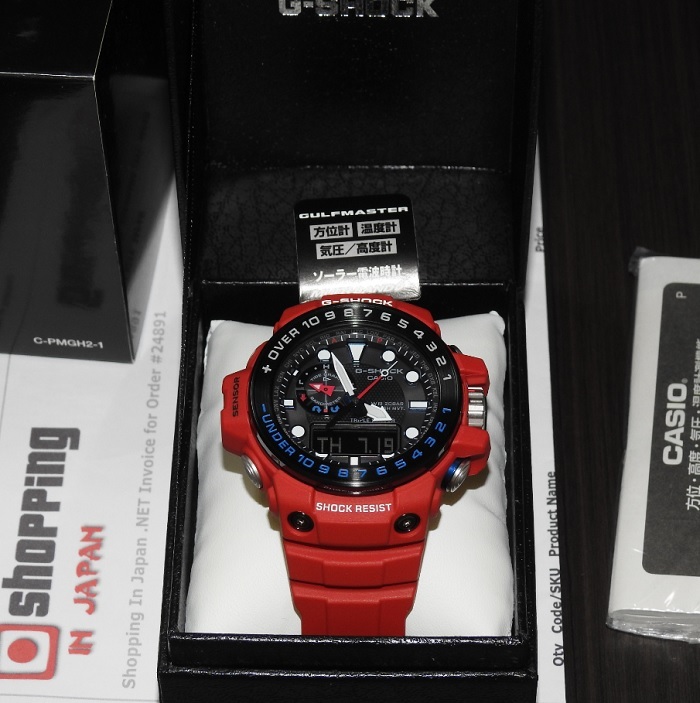 Price down now on this G-Shock Rescue Red Series GWN-1000RD-4AER that comes with Atomic radio, Triple sensor Ver. 3, outer resin body is also red with blue black stainless steel bezel. This Casio GWN-1000RD-4A is a JDM (Japanese Domestic Market) watch model and it's now in our stock - ready to ship within 48 hours to any country. So buy now before it’s too late!